To learn more about renting the Cade Museum for your event please view our FAQ page. For rental requests please complete this form. The Rotunda is a modern twist on an ancient classic showcasing 55 foot ceilings with a spectacular oculus skylight. Glass walls and a grand staircase proved a stunning backdrop for all types of evening events. The space also features screens and speakers for presentations and decorative light-boxes to add a pop of color. Located on the Museum’s second floor, the Petty Family Gallery offers panoramic views of Depot Park through floor to ceiling windows. The combination of a picturesque backdrop and eclectic furniture create a perfect spot for a cocktail hour or company retreat. 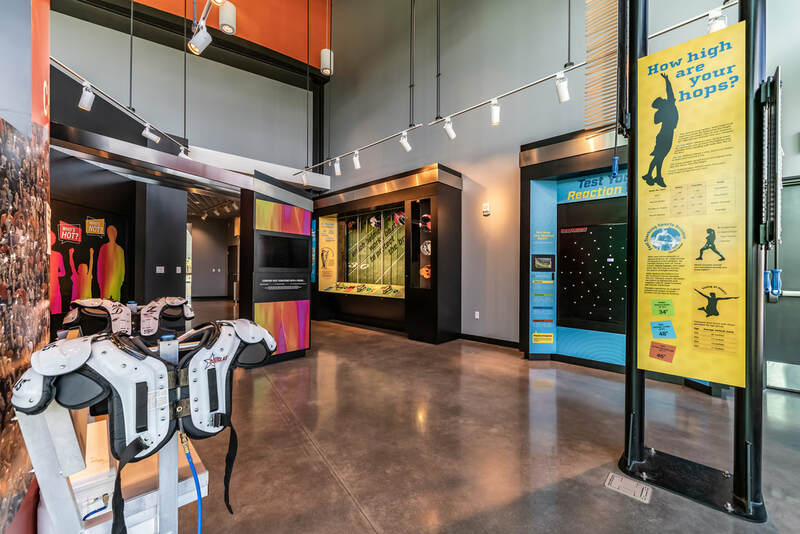 ​The Sweat Solution is an interactive exhibit that showcases the invention of Gatorade, the lives saved because of its science, and the industries that emerged from its invention. Everyone in Gainesville has a connection to Gatorade and this add-on allows guests to explore that connection in a fun and hands-on way. Guests can test their reaction times, build a human circuit, crash test football helmets, and more! ​Let our staff entertain your guests the Cade Way! 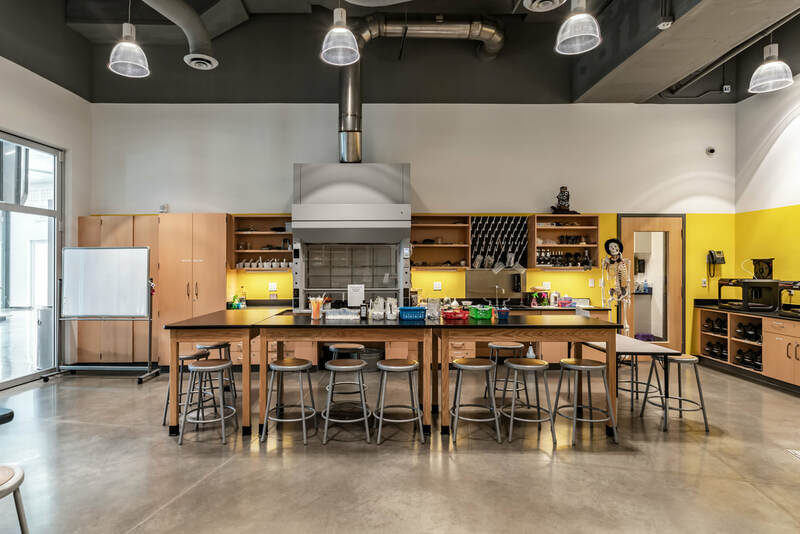 The Creativity Lab add-on provides an opportunity for guests to experience our labs firsthand and participate in hands-on experiments that can be tailored to your event. This add-on has three package options with price points that can fit any budget.